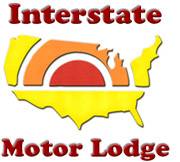 Join us at Interstate Motor Lodge and experience our affordable, beautifully renovated rooms. After a long drive or a day of site seeing please join us and http://newonlinecasinosus.com/ relax by our pool and Jacuzzi. Enjoy our Free Continental Breakfast between 5:30am and 9:30am. Our Room choices include a King, Double or Triple Room. Each room includes http://top-casinos-us.com/ a Flat Screen TV with remote control, Expanded Cable and HBO, Wireless Internet, Micro-Fridge, Coffee Pot, Hair Dryer and iron and ironing board. Our pet friendly Online craps service offers Guest Laundry, Ice, Beverage and Food Vending Machines. We accommodate you with a friendly wake up call and a secure car and truck parking lot. Security Lights and Cameras are located throughout both the car and truck parking lots and surveillance by our Front Desk staff. Truckers, you can view your truck from your room! Family fun and enjoyment can be found at Splash Town or Schlitterbahn Water Park. The Houston Zoo, Houston Arboretum and Nature Center, and the Children’s Museum of Houston are a few fun educational experiences. Other popular Recreational hot spots are Fun Plex, Zuma Fun Center, Monkey’n Around, and Fun Max Jump In. Sports fans can take in Houston Astro’s Baseball game at the Houston Minute Maid Park or Rockets Basketball game at the Toyota Center. Tour the Space Center Houston touch and be touched by the US space program. Thoroughbred and Quarter Horse racing at Sam Houston Race Park is great fun and the train ride at the Downtown Aquarium through the Fish Bowl Tunnel is an experience one will never forget. Plan a day of shopping at either the Galleria or the San Jacinto Mall. Enjoy our complimentary Continental Breakfast every morning between the hours of 5:30am and 10:30am. Every weekend taste Spicy Mike’s BBQ located right here at Interstate Motor Lodge. A variety of nearby dining choices include the Pappassito’s, Pappa’s Seafood, Saltgrass, Chili’s, Applebee’s, Mambos Seafood, Denny’s and I-Hop. Most every Fast Food chain is within a 3minute drive. We are located just 7 miles from Downtown Houston, offering 5 Star dining experiences. 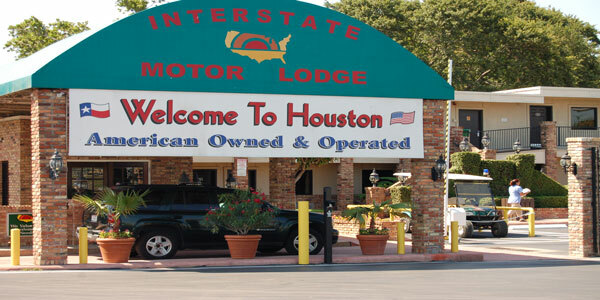 While in Houston be sure to enjoy some of the major attractions. Our staff will be happy to assist you in planning and scheduling your activities. Use the following links to find fun things to do while in Houston. Our staff will be happy to assist you in planning and scheduling your activities. We offer the finest newly remodeled discount hotel rooms in Houston. Use our online reservations system to reserve your to hotel room. We offer a variety of discounts on our already low room rates. These include Group Discounts, Corporate Rates Discounts, Military Discounts, CDL Discounts, AARP Discounts and Senior Citizen Discounts. We are a pet friendly hotel where we say pets OK. We offer affordable deals for discount hotel rooms in Houston TX. Our Preferred Guest program offers free hotel rooms too. Come experience the difference!